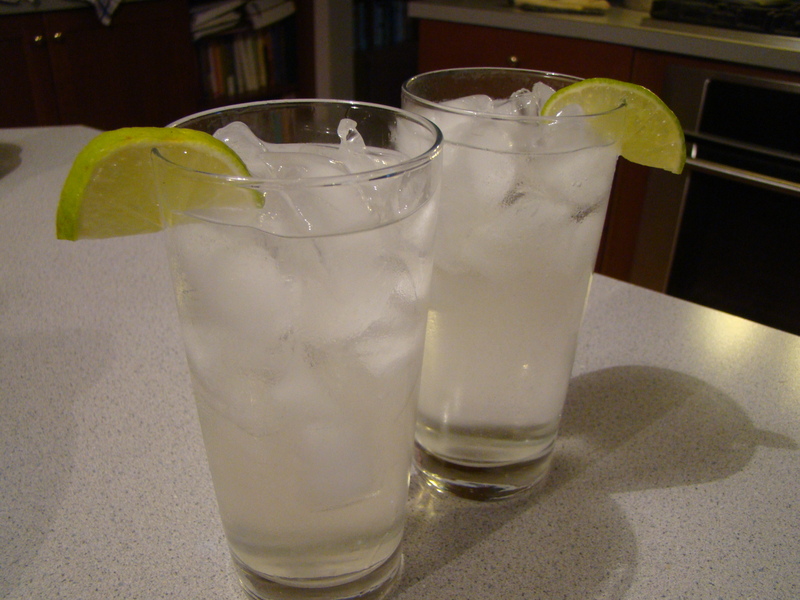 Small Batch Gin & Tonic, Anyone? In July, we were wandering around the Old Port area of Portland Maine when we stumbled upon a shop that looked intriguing. The sandwich board on the sidewalk said Vena’s Fizz House, Natural Soda Bar & Mixology Shop. So we went in. The shop was newly opened, just that week. The shelves were stocked with anything you might need for a fun home bar. There were interesting mixers for cocktails, glasses, shakers, swizzle sticks, straws, books, you name it. 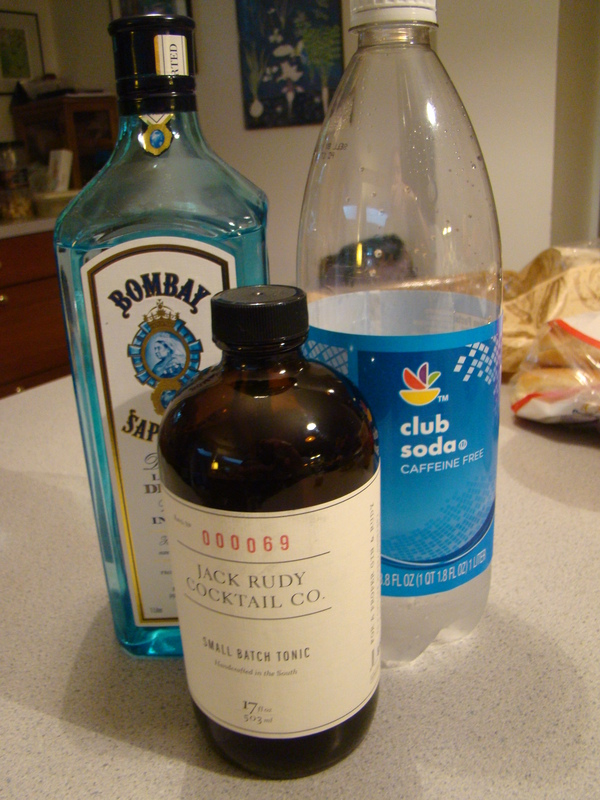 My purchase for the day was a bottle of Jack Rudy’s Small Batch Tonic.. This elixir provides the tonic flavor without the high fructose corn syrup of commercial tonic water. You add the gin and soda water; the tonic syrup adds the requisite quinine flavoring as well as orange peel and lemongrass, giving it a refreshing citrus burst. Finally, we got around to opening the bottle and making cocktails. I loved Howard’s verdict: “I could get used having one of these, everyday”. If you don’t live near Vena’s Fizz House, you can order the tonic online from Jack Rudy Cocktail Company. It’s definitely worth checking out. Fill a tall glass with ice. Pour in ¾ ounce of Jack Rudy’s Small Batch Tonic and 1½ ounces of your favorite gin. Add seltzer to fill the glass (about 4 ounces). Stir. Garnish with a slice of lime. Sip and enjoy!